Small City Kitchen That Has Everything! 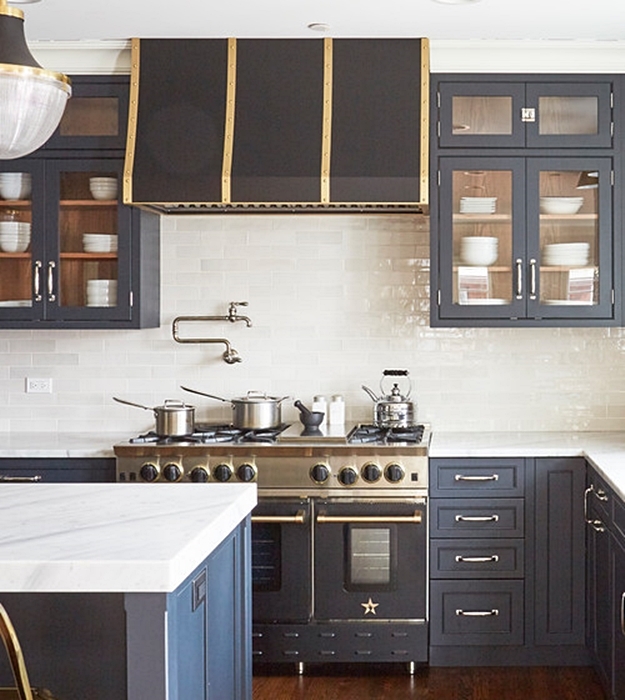 Custom kitchens always pack a powerful design punch, and this small city kitchen in Chicago seems to have everything despite its diminutive size. 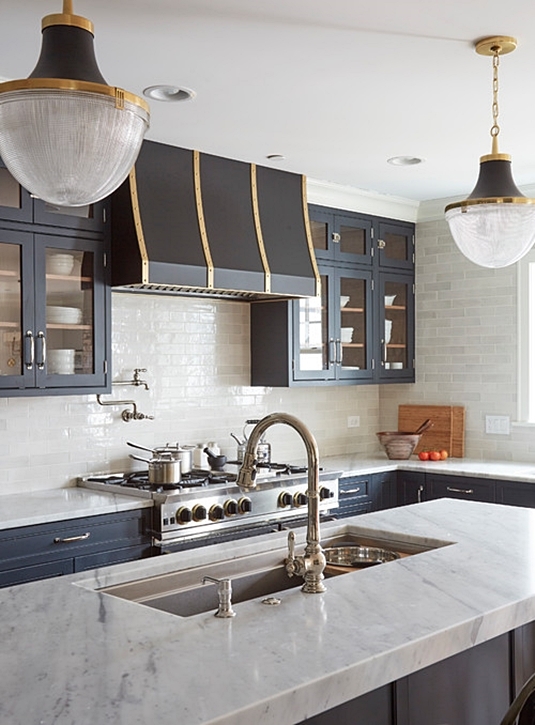 Dark gray and gold pair up to create an elegant, classic vibe with a custom range hood and matching pendant lights. My dream is to someday have a grand range with double oven like this one. White subway tile and warm wood floors give a nod to the city home’s design roots. Metal farmhouse bar stools cozy up to the kitchen island. Since the island is large, up to four people can be seated comfortably – maximizing dining space. A cozy dining nook is adjacent to the kitchen island allowing all guests to be in the same area of the kitchen when eating. 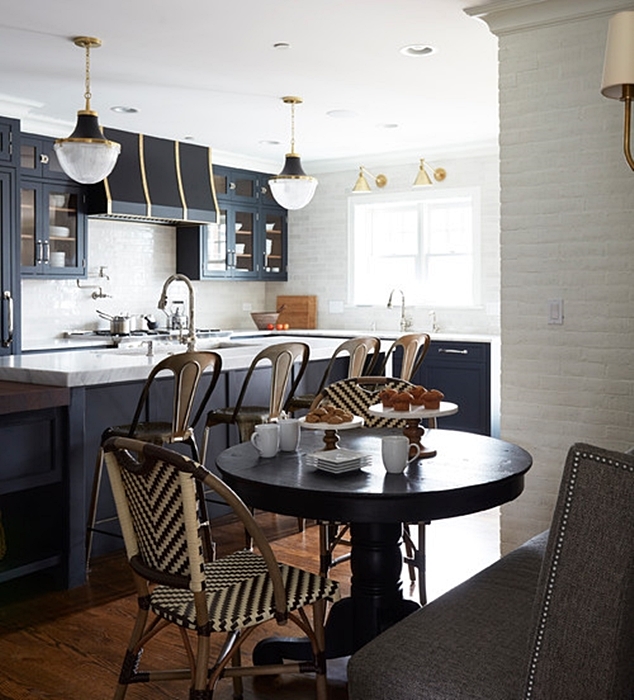 Brick walls are painted white to match the subway tile in the small city kitchen. 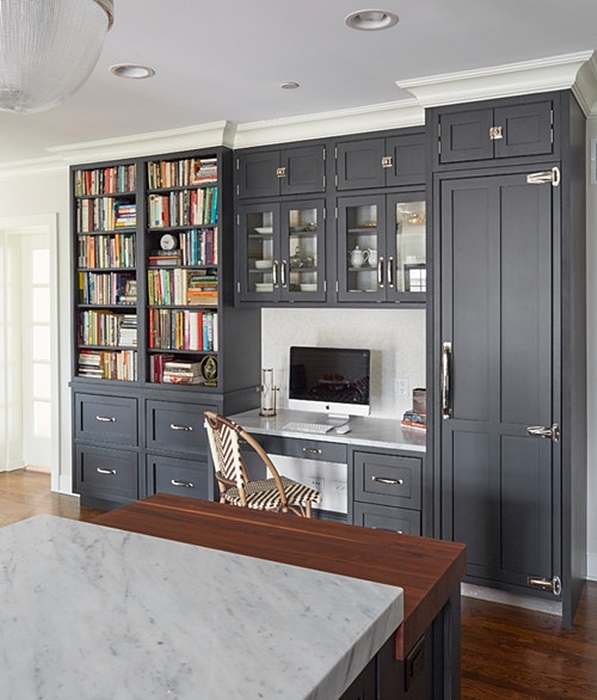 Custom dark gray cabinetry provides additional kitchen storage while creating a comfortable office space. More storage space is available in the pantry just off the small city kitchen. Note that the pantry has such good looks, no door is needed to close it off from view! 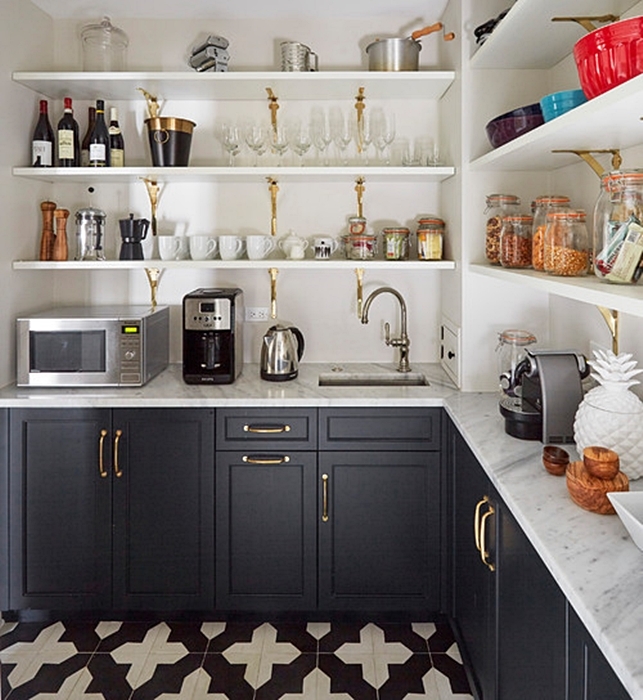 Even the pantry is pretty with gold accents, dark gray cabinetry, and a bold-patterned tile floor. Even though the kitchen is on the small side, every square inch is put to good use. 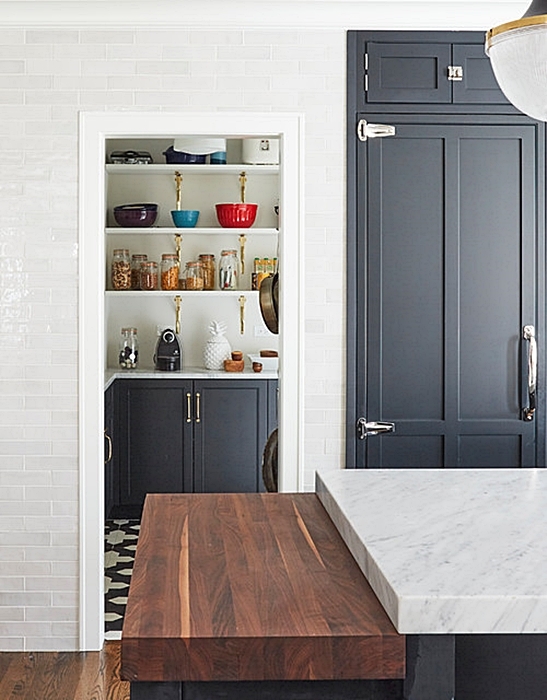 See more of this custom small city kitchen by KitchenLab over at Houzz. 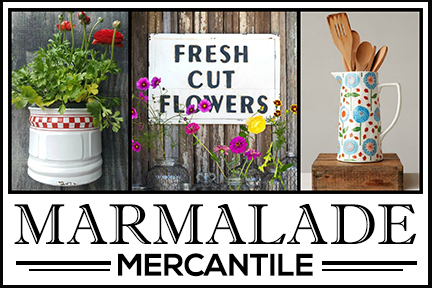 Country Style Kitchens from U.K. I really like this kitchen. I don’t require or even particularly like a large kitchen so this is one of my favorites. 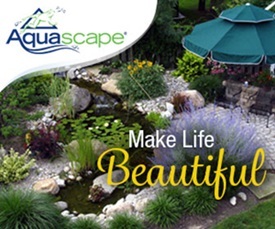 It has everything. 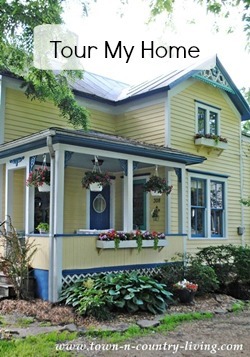 I know my kitchen is pretty old even though it has been updated but, this one is pretty big and does have everything you could dream of, except windows with lots of light. Beautiful little kitchen, it’s just perfect ! Adorable breakfast nook too ! Where do you get “small city kitchen?”. This is larger than my whole first floor! !! !